Car buyers should see more realistic official MPG figures from today with the introduction of a new fuel economy test. The new WLTP test replaces the outgoing NEDC system which has been in place since 1992, but has come under ever increasing criticism for giving consumers unrealistic and unachievable figures. In theory the new test means that the figures published by manufacturers alongside their new cars, should give a more realistic idea of what owners can expect to achieve in real world driving. Catchily named the Worldwide Harmonised Light Vehicles Test Procedure (or WLTP for short), it will change the way new vehicles are tested and will be legally binding for all car manufacturers. It will cover more than twice the distance - 14 miles at a higher average speed. And take into account the extra weight of optional equipment. However, while the WLTP should be more reflective of real world driving conditions, it will still be laboratory-based. The WLTP will be longer, changing from 20 minutes to 30 minutes and the test will start at a temperature of 14°C rather than the current 20°C to 30°C, a better representation of the UK climate. It will also cover more than twice the distance - 14 miles at a higher average speed. And take into account the extra weight and power used by optional equipment. The inadequacy of the current test has long been known. It's why we launched Real MPG which has now seen more than 120,000 submissions from our users. The thinking behind it was to give owners and buyers information on realistic economy figures that could actually be achieved in the real world. What it's shown is that the gap between the official figures and what motorists are actually achieving has been steadily growing in recent years. In fact, now just one in 10 cars actually achieves its claimed economy figure. 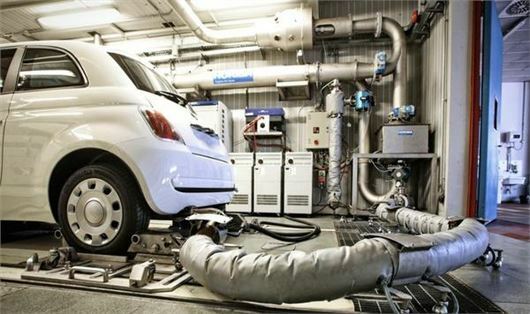 One of the reasons new cars have performed increasingly poorly is that since 2015, car manufacturers have been fined by the EU if the corporate average CO2 emissions output of their cars exceeds limits according to MPG and CO2 laboratory tests. To avoid the fines, vehicles are increasingly optimised for the laboratory tests at the expense of reality. From today, any new cars launched onto the market will be tested under the new WLTP system. Existing models on sale will have until September 2018 before they have to be certified according to the new test. The test should start at 10 deg C rather than 14, there is a huge difference in mpg on a short journey at 10 deg C compared to 14. Should be tested on actual roads ! Why not do it properly for a change? Standard test on actual real-life roads, Summer and Winter, take mean values. A much longer real world test is needed, for example, a ten mile commute in urban rush hour traffic providing the urban figure, and forty miles of extra urban single carriageways, encountering 30, 40, 50 and 60 mph speed limits, plus another forty miles of dual carriageway including typical traffic, and normal braking for HGVs suddenly obstructing the overtaking lanes at 50 mph in 70 mph limits. We would no longer see 180 mpg hybrids, and 60 mpg diesels being advertised, but a sudden realisation that almost nothing can better 30 mpg in normal use.